Volunteers will assist in a variety of tasks including but not limited to: Assisting adults with developmental disabilities in their daily living activities in the home and managing crews in workplaces such as gardening, farming, cooking, food preserving, cleaning, woodworking, weaving, baking, or arts. The type of work and number of hours varies but is usually 5 – 10 hours per day. At least 5 hours per day will be spent in the workplace and another 3-5 hours per day in the home. Volunteers live on site and participate in all house activities including meals and all outside activities. Coworker position requires a confident individual who will be active in the homelife with others. This includes adults who have a range of abilities. Their primary function will be to make some common meals at home, clean common spaces, assist housemates when needed and participate in activities within the village. Some housemates may need help with bathing, oral hygiene, and other daily living activities. Coworkers will have workplaces to attend during the day. 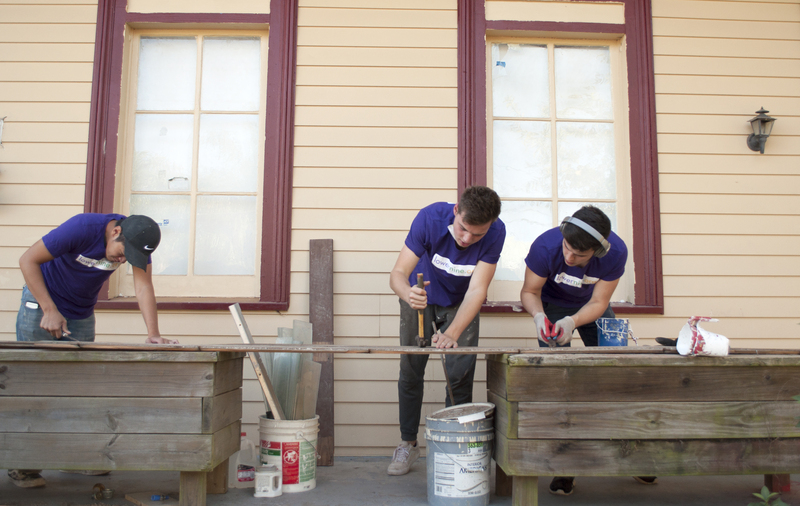 Volunteers (Coworkers) will live together family style in homes within the community. Each person has their own bedroom. All meals, hot showers, toiletries, linens & towels are provided. There is a fleet of vehicles that each person with a driver’s license is welcome to use. There is a rich social life within the community. 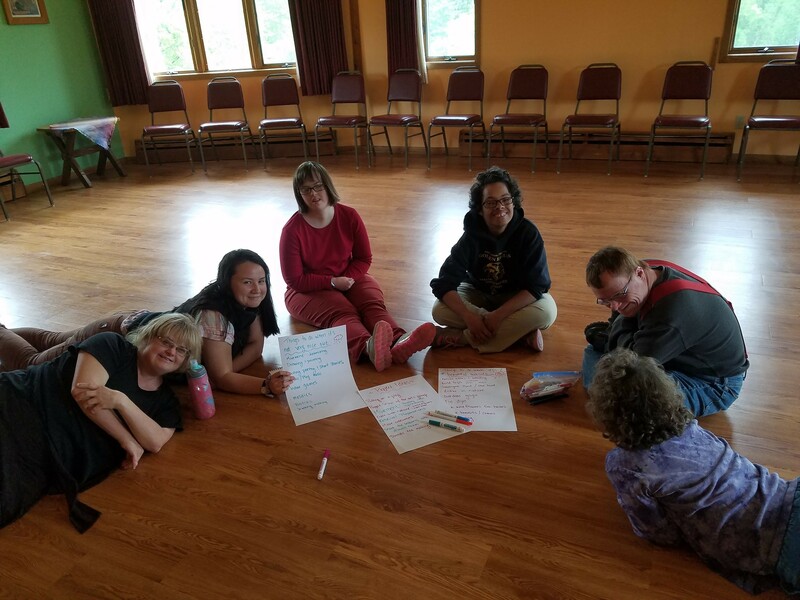 During down time coworkers can be found doing yoga, group workouts, playing pool, canoeing, hiking the land, playing music/ singing, or going to the nearest town to see a movie at the theatre. Community members are able to go to larger cities on their days off. For year long Coworkers 3 weeks of vacation is offered. You must send your arrival details to lindsey@camphillmn.org so we can arrange to meet you. 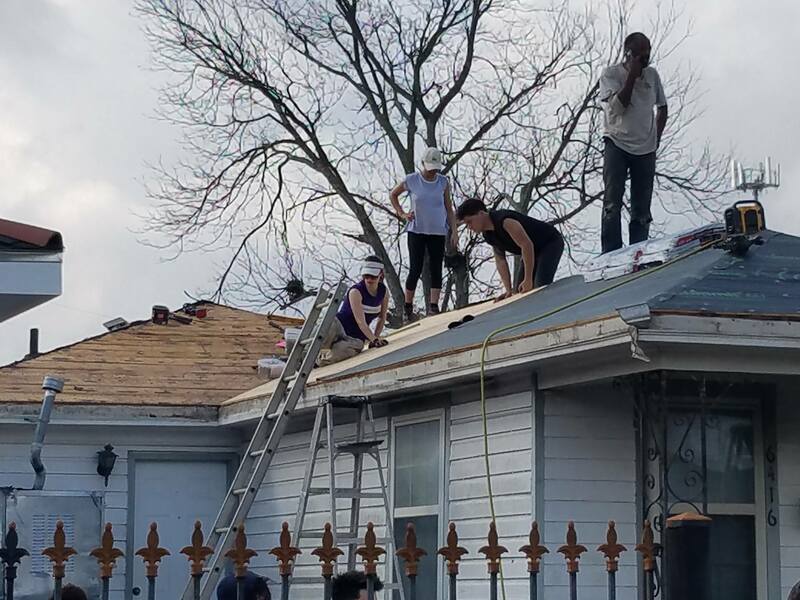 WORK: Experienced carpenters, roofers, plumbers, painters and other tradesmen needed for rebuilding homes in the flood-damaged Lower Ninth Ward of New Orleans. Unskilled volunteers will be trained by skilled staff. All aspects of home rebuilding will be addressed, from roofing to finish carpentry. 5-day week of full work days. 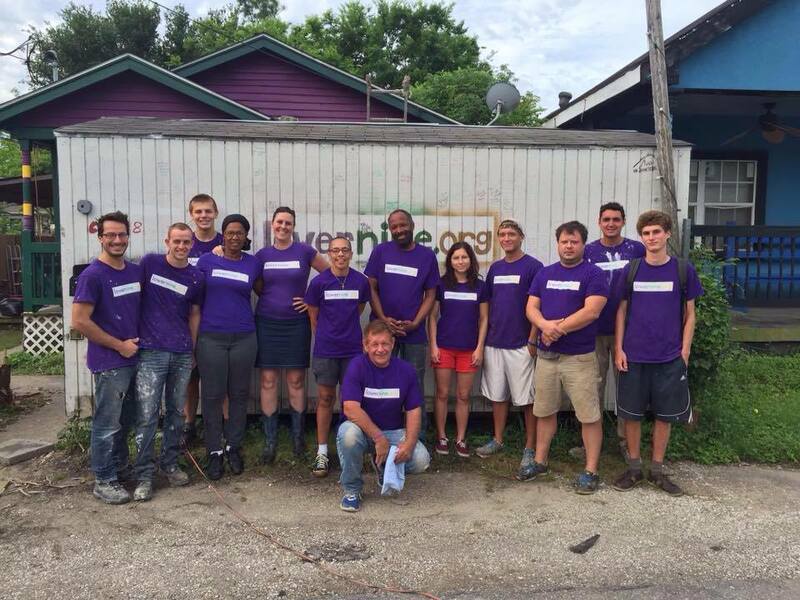 Medium-term volunteers provide free labor to neighborhood residents, so they can return home after Hurricanes Katrina, Rita and Isaac. Work can be difficult and it is hot in New Orleans! STUDY THEME: Carpentry, construction, community building. ACCOMMODATION: Housing is in dormitory style bunkrooms. No smoking in the house. No drugs allowed. No alcohol allowed in the house or on the property. Vegetarian meals available. LOCATION: New Orleans, LA, 2 miles east of the French Quarter. LEISURE ACTIVITIES: Volunteers will have ample opportunity to partake of the abundant cultural offerings of the most unique city in America on weekends and after work hours. SPECIAL REMARKS: VFP Motivation Form required. Volunteers must have intermediate spoken and comprehension of English in order to ensure workplace safety. 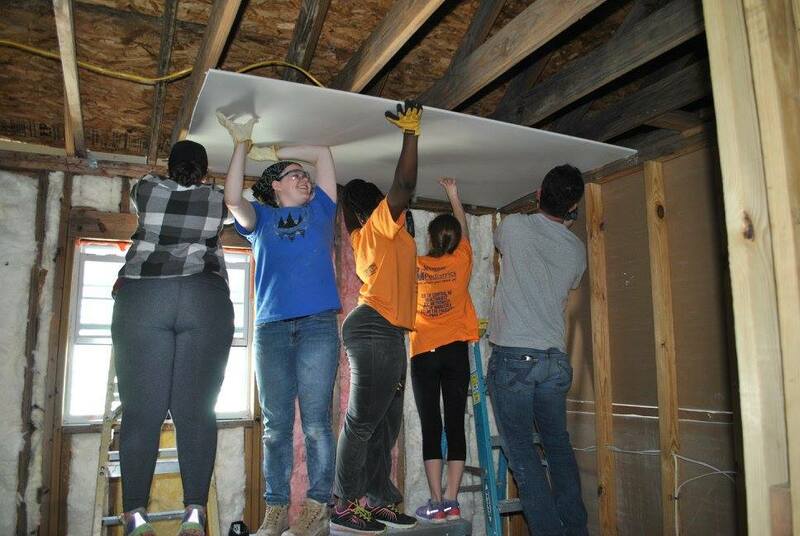 VFP does not provide insurance for volunteers on this project, LowerNine general liability insurance will cover volunteers only while they are working. In case of a natural disaster volunteers will be required to make their own arrangements to evacuate the city. Multiple volunteers serve at all times in this location. EXTRA FEE: $480 Minimum (Covers $160/week for the first three weeks. The fee is the same whether you stay for 1 day or 3 weeks). After three weeks the extra cost will be $50 for each additional week up to 3 months. For example, a volunteer staying 6 weeks will pay $630 and one staying for three months will pay $930. After 3 months there is no additional cost. This fee is due in US Dollars upon arrival or online through lowernine.org's website. The volunteers collaborate in the educative area from Monday to Friday from 8:00 in the morning to 5:00 in the afternoon, supporting our educators in the direct work with the chavos - boys that live on the streets-. The actual tasks can vary according to the projects current needs and depend on the volunteers own initiative. Accommodation and Food is provided by the project.From Monday to Friday, the breakfast and the lunch are prepared at the project. The volunteers are going to cook their own dinner and the meals from Monday to Sunday. The best things to do in Mexico City walk the Centro Historico, admire the Churches, explore Mexico City s Parks, appreciate murals, browse the Markets, discover the UNAM campus, see Street Performances, visit the Plaza de las Tres Culturas, go to Museums. Pro-Street Children is an institution with the following mission: Understanding and assisting children and teenagers living in the streets, accompanying them in a gradual process which allows them to choose a different option of life . Pro-Ninos gives assistance to boys between the age of 10 and 17 years how are living on the streets of Mexico City for a long time. To accomplish our mission, the kids - or Los chavos as they call them - participate in a process consisting of three different steps, designed to help them decide on their own, that the street is no longer the place in which they want to live. The different stages are 1. Street work; 2. Day Center; 3. Alternative Options of Life. The project provides a room in Casa de los Migrantes which consists of baths, a kitchen, and a place to wash your clothes.Meals will be prepared by the volunteers. In the free time, you will be able to Stroll Along Avenida Revolucion, visit a traditional Market, explore the Centro Cultural Tijuana, see the Bullring by the sea, savor some Mexican food, check out Plaza Santa Cecilia, hit the Beach, take a day trip to the Valle de Guadalupe. Casa del Migrante mission is to provide adequate and timely care to the population in a situation of social vulnerability such as the migrant population, seeking to improve their living conditions by offering basic services such as temporary housing, food, clothing and assistance services as health, education, and promotion of human rights. Committed to promoting their rights and influencing policies for their attention inside and outside the nationThe vision is that migrants with low economic resources have a space that allows them to satisfy their basic needs of temporary stay in the city of Tijuana, Baja California, where they can safely establish their migratory projects and where they can access to services public and private social assistance, improvement of health conditions, employment, and human rights. Similarly, serve as a reference to society in general on the current phenomenon of migration. The volunteer will support the children in activities such as 1.- Awaken the children in the morning because they have religious mass and later attend school. 2.- The volunteers will have rest time. 3.- They will rejoin the children in the afternoon to support them in their homework and, if it is possible, support the children in English classes and after-school activities. 4.- Theyll accompany the children at the dinner. 5.- Volunteers will be supporting the caregiver and monitoring for the fulfillment of activities. The accommodation and food will be in the project. Leon is a interesting city to know an visit. Interesting places nearby to visit are Queretaro, Celaya, San Miguel de Allende, Pena de Bernal, Tequisquiapan, Guanajuato. Magic villages, big cities with a rich culture. Casa Hogar San Antonio shelter for children (men) with low economic resources, sons of single mothers or dysfunctional families in vulnerable situations. From 4 to 9 years. Children attend school, theyre educated in the Catholic religion, in the afternoon they do their homework and participate in diverse recreational activities such as Kung Fu; Singing, Catechism. Some of them have educational backwardness and support personnel is sought so that children can continue to grow educationally and personally. Interest in and first experience in the work with children and adolescents Interest and first experience in teaching Commitment to the work of the organization Passion for the work of the institution Be creative and active Work independently and responsibly Have a deep social conscience. 1.Personal support for people with intellectual disabilities between 29 and 50 years old. The work also consists of supporting the house: cooking together, washing dishes and clothes, sweeping, making beds, folding clothes, going to the movies, hiking, transporting to school. It is also important to take care of the spiritual life of each person who is welcomed, that is why every Saturday or Sunday we attend mass in the same colony or in another one that they decide to attend.2.In the workshop, there is also personal accompaniment for people with intellectual disabilities (deaf people, cerebral palsy, autism between 21 to 50 years old) who attend from 8: a.m. to 3 p.m. The workshops are painting, carpentry, bakery, cooking, jewelry, dance, yoga, monthly recreational and cultural outings to develop socialization, affection, respect, and teaching about their rights as people.3.In El Arca people with disabilities are the center of the community so they will be accompanied to reinforce their gifts as people and according to this, projects will be carried out with each volunteer. We do short- and long-term projects. The lodging will be in the Home with its own room, but it will have to be open to share it if we do not have more places for one or two nights. There is soap, shampoo, cream for body and clothes that are used in the house, in case that they prefer specific brands they buy them with their own resources, the food is cooked according to a balanced diet. ALCOHOLIC BEVERAGES ARE NOT ALLOWED.The food will be prepared by the volunteers and the house s assistants. Visit the downtown where there are several cultural activities and hobbies that young people usually attend. The downtown is to 20 minutes from the project. Also, they can visit San Miguel Allende, Tequisquiapan, the monolith called Pena de Bernal, Guanajuato, Dolores Hidalgo, Leon City. We will give phone numbers of council members and assistants to be able to do personal activities. El Arca, Queretaro is supporting a new community for and with persons with intellectual disabilities that has established with the hope that it will be able to join El Arca as a )projecti community.The workshop in Queretaro has grown from 6 to 22 participants in the last 2 years. In addition to impacting the lives of the Core Members, El Arca is also impacting families in the neighborhood.This project has the spirit of the encounter, listening and empathy and solidarity, with people with and without intellectual disabilities, strive to grow in competence. This enables us to fulfill our daily tasks well and play a role as citizens in the world. Good disposal of teamwork, dedication, and responsibility. Be able to work with people with disabilities. Have a life insurance. Bring appropriate clothes (Women: no low-cut clothing, no short skirts). Be respectful of the rules of the community and with authority. The objectives of the project are developed a profitable and sustainable plan of organic agricultural production with organizational strategies, build policies within the Sociedad de Production Rural that allow to carry out in harmony the production system.Activities to do:1.Manual activities will be carried out, weeding, fertilization, botanical classification, according to a program already established.2.Reforestation activities such as: clearing the established area, cutting the grass, making holes, planting trees and other plants.3.Support to the farmers in their daily work, shoulder to shoulder, this is very important for us, share our energy and happiness with them.4.Packaging and conditioning of fruits for industry or export. selling5.Packaging and coordination of social responsibility activities such as delivery of food packages. Accommodation: The lodging will be in a shared apartment with all the services. Volunteers will clean the house. Food: The food will be prepared by the volunteers with a weekly special dish of the region. San Juan Teotihuacan, Estado de Mexico. Is about 2 hours by bus from Mexico City. The Project is developed in coordination with the Sociedad de Produccion Rural Frutos Organicos Selectos and VIMEX A.C, created by farmers of Nopal (A Mexican vegetable) and Tuna (a Mexican fruit) in Mexico State, whose purpose is produce Organic fruit like Nopal and Tuna, in eco-friendly process because we believe that eco-friendly education serves as the means to bring about the desired change in society, to develop a generation of virtuous people. Good disposal of teamwork, dedication, and responsibility. Be able to work in the full sun on the land. IMPORTANT To have initiative and innovation to contribute with new ideas to the farmers. Volunteer activities are1. Active participation working with the children. 2. Accompaniment in their homework. 3. Social work support and investigation of cases of child labor. The accommodation will be in the same house.The food will be prepared for the volunteers or for the staff of Loyola Home. The Casa Hogar Loyola is a civil non-profit organisation. It is a project with 30 years of experience serving 60 children in three houses in different parts of the city. Counseling, shelter, legal advice and monitoring of social work is provided to each of the cases they have. Attention, care, and shelter for children in high-risk conditions are given. This home was established by the conditions of poverty, neglect, and violence in which children of the city in the poverty belts are, and the failure of the Rights of Children in Mexico. It works in partnership with other institutions and with local, state and federal governments for childcare we are assigned directly by them. We serve children from all over the State of Guanajuato, Mexico. The location of the accommodation will be in one of the locations, Szécsény, a small town, where volunteers will have their activities. Volunteers will live in a family house, sharing it with 7 other long-term volunteers. In the house the basic facilities, such as toilet, shower, sleeping place and furniture in a separate or a shared room will be available for volunteers. The kitchen of the house is fully equipped, and volunteers manage their own cooking. In the town of Szécsény there are multiple stores and all dietary needs are possible to handle with their supply. Egyesek is present in the area since 2000 and from 2010 we are focusing our youth work activities only to Nógrád county. We have strategic partners in the region including Creative Space Public Benefit Non-profit Ltd (Creative Space) which runs a community accommodation in the village of Hollókő, which is included into UNESCO heritage, and several elementary and high schools in Szécsény, Nagylóc and Endrefalva. We are developing youth work strategy which aims to: -catalyze the first encounter of non-formal and intercultural learning and support in further involvement, -encourage self-organization, initiative and community development by local youth, -increase the level of ecological culture of youngsters throw action, -expand the horizons, creating circumstances for comprehensive development of young people. It will be arranged with the volunteers depending on the exact arrival day. Accommodation: The ecological centre was constructed in a beautiful Hacienda of the 16th century and has been renovated. It has shared rooms for the volunteers.Food: Will be provided by the project. Location :Highway to Valladolid, Aguascalientes is at about 6 hours by bus from Mexico City.Leisure :Visits and trips in the city as well as in its surroundings. The foundation Miguel Angel Barberena Vega, A. C. came into being the 23 November 1990 with the creation of the ecological centre Los Cuartos . It is the first centre of education and environmental culture in the state of Aguascalientes. For over 25 years now, they have contributed effectively to the formation of an authentic awareness of environmental issues in society and they have moreover been tireless promoters of education about peace and human rights. Our main goal is to develop programs of environmental education and values that generate the grounds to achieve a real change of attitudes towards our natural and social surroundings by performing activities daily. Promote different eco-techniques and methods which allow a better and more sustainable use of natural resources.Be a place for volunteers from Mexico and all over the world where they can contribute the best of themselves for the consolidation of a more peaceful society, sensitive to the problems of our environment. 6300 Pesos for 3 months, 9000 Pesos for 6 months and 16000 Pesos for 12 months. It includes food, accommodation and administrative costs. Promote water culture, forest culture and responsible consumption with their activities, plans and programs aimed at the public - Speak Spanish (of everyday life), - Knowledge about environmental problems - Experience with working with children - Knowledge about recreational activities- Flexibility with the working hours, - Willingness to work actively and to work in teams- Readiness to live together with local people and potentially with people from other cultures- Be organized, enthusiastic, responsible and committedPlease bring your own insurance. Accompanying the girls in their development towards independent and honest women with various activities supporting this development. The schedule of the work will be from Monday to Friday from 6 am to 8 am and from 3.30 pm to 9 pm, according to the school calendar. Activities:Support and accompany the girls in their daily activities (waking them up and getting them ready for school etc. ),Support them with their school work, Help with extra-curricular activities inside as well as outside the house, Foster the development of values in the scope of all the activities organized for the girls. There s the possibility to do different kinds of activities with the girls and get involved with them personally. he project Teaching Farm aims to realize educational activities as well as animal feed. The project includes organizing and doing workshops for primary school students who visit the farm. 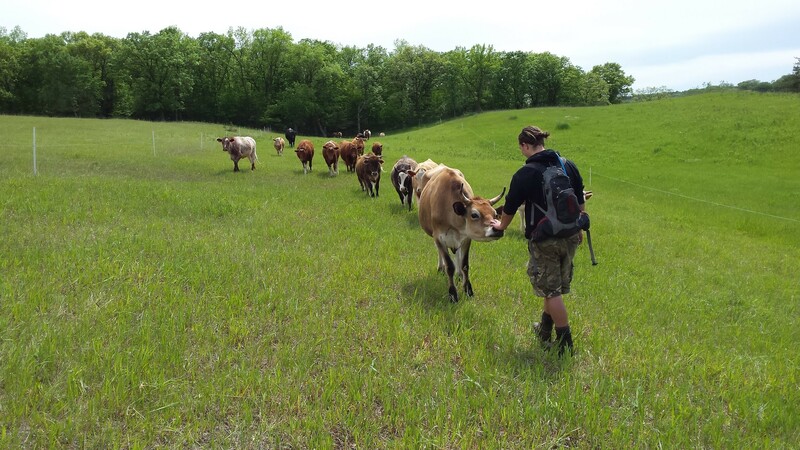 Specific activities are organization of everything for the visits of schools, animal feed, helping to vaccinate, cleaning and repairing the farmyard, taking control of the lavatories, reproduction and loss of life. The volunteers will be living in the project itself where they will have their own bedroom.The food will be provided in the project. Location: Cienega, Guanajuato is at about 4 hours by bus from Mexico City.Leisure: Activities in the city of Leon and its surroundings. Visit of touristic cities in the state of Guanajuato like: San Miguel de Allende, Dolores Hidalgo or Guanajuato. This institution was founded 1872 by the Father Pablo de Anda Padilla with the objective to protect and educate girls who have been abandoned or mistreated by their parents. It was the first refuge for girls in the city of Leon, which was back then called Casa de la Misericordia and later renamed Asilo de San Vicente . Today, it is known by the name Asilo Pablo Anda, A. C. . Exclusively girls between 3-12 years live in the house. They are orphans, daughters of a single parent, of dispersed families, of parents who are not capable of taking care of them, or girls in situations endangering their physical and moral integrity as well as girls guarded by the welfare service. The volunteers are required to have the following characteristics: The work will be directly with the girls so the volunteers should be patient, flexible, creative, tolerant, dynamic, responsible and willing to learn and develop new activities. Additionally:1.Positive attitude towards life and a positive work ethic2.Ability to communicate easily3.Compassion4.Self-confidence5.Ability to analyze situations and solve problems 6.Adaptability7.High level of motivation8.Leadership qualities9.Willingness to work in team.Please bring your own insurance.